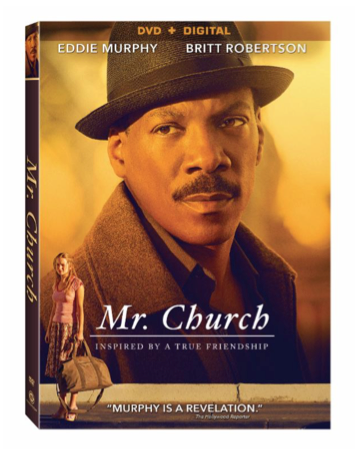 In a new movie centered around a young girl and her dying mother, Eddie Murphy plays an exceptional cook whose role transitions into an exceptional family friend: Mr. Church. The heart-warming story – where a six-month hire turned into 15 years – is more than just a movie. It was inspired by the true story of a man by another name who left an impact on the film writer, Susan McMartin. When the Blu-Ray/DVD becomes available on October 21, viewers will be able to dive deeper into the story with added bonuses including a “Food on Film” and “Based on a True Friendship” feature, plus an interview with co-star Britt Robertson. With the exception of Dreamgirls, Mr. Church is sort of a new look for Murphy. He discusses the shift from his normal comedy to this inspirational drama in an exclusive interview on the DVD as well. Want to see it? It’s available everywhere October 21, but you can enter to win a copy of Mr. Church (courtesy of Lionsgate) today by signing up for the Gospel Goodies newsletter. See Eddie Murphy like you’ve never seen him before! By signing up below, you also agree to receive gospelgoodies.com newsletters. 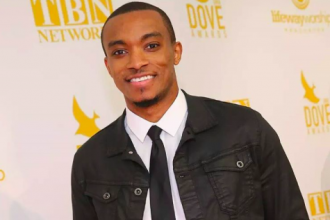 Jonathan McReynolds discusses the success of his new no. 1 album ‘Life Music Stage Two’ and how he balances his music & teaching career.